What little girl doesn't want to be a Disney Princess? Especially one that lives under the sea and has a fish and crab as her best friends? 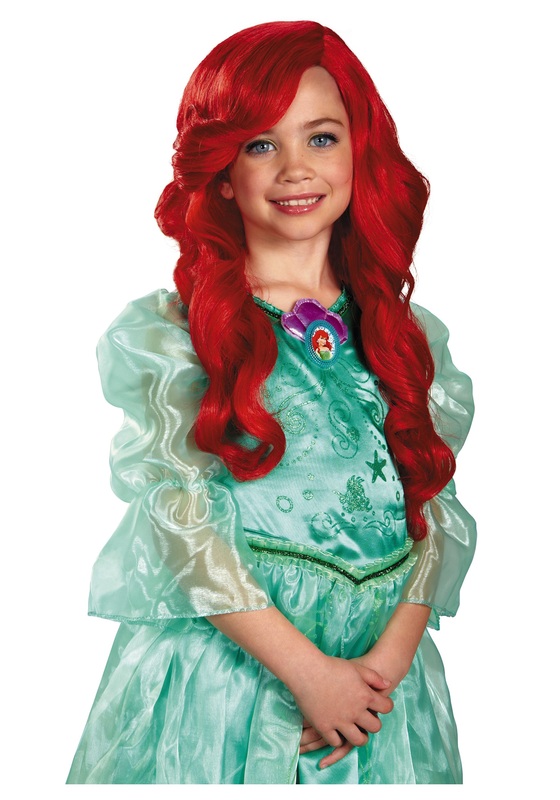 This Ariel wig will go perfect with all of her gadgets and gizmos, whozits and whatzits galore. And hey, this wig is even King Triton approved! Sure, brushing your hair with a fork is fun, but having Ariel's bright red hair is even more fun. She'll truly feel like her favorite Disney Princess with this Ariel Child Wig. But, you still might want to keep an eye on the forks. This bright red, long haired, synthetic fiber wig is sure to make your little lady feel as if she got her oh what do you call 'em? Oh - feet!